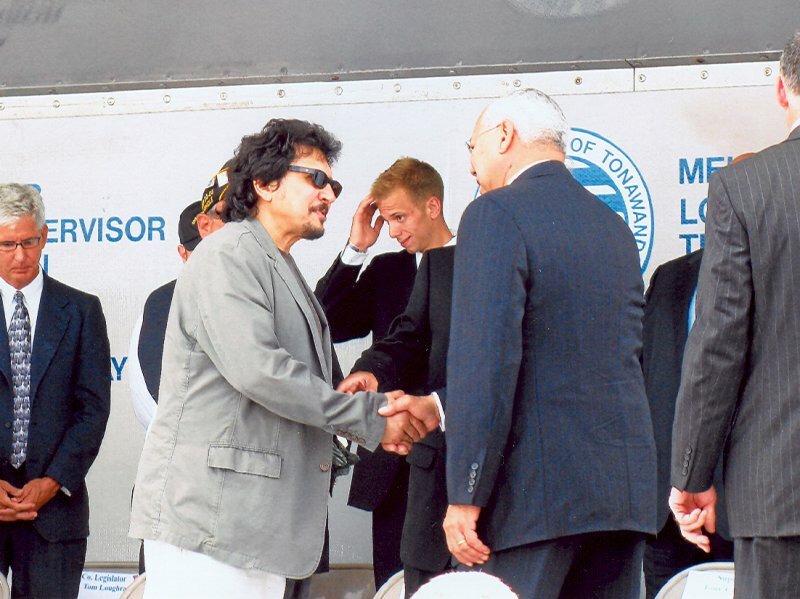 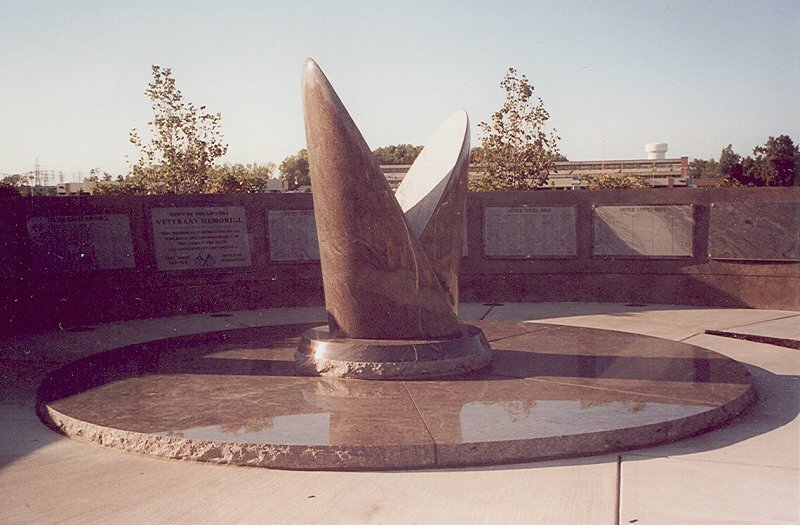 While the 7-foot V-shaped granite monument that anchors the Town of Tonawanda Veterans Memorial may appear abstract to some, its meaning is very traditional. 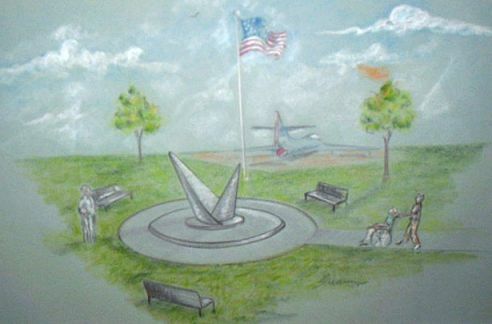 Sirianni designed the V as a symbolic reference of “Veterans”, but says that other words such as “valor”, or on a more personal level, “vision” also come to mind. 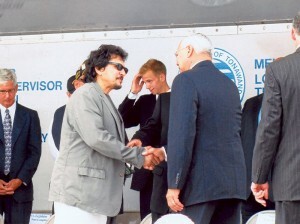 In attendance was veteran and former Secretary of State Colin Powell, seen here with the artist.